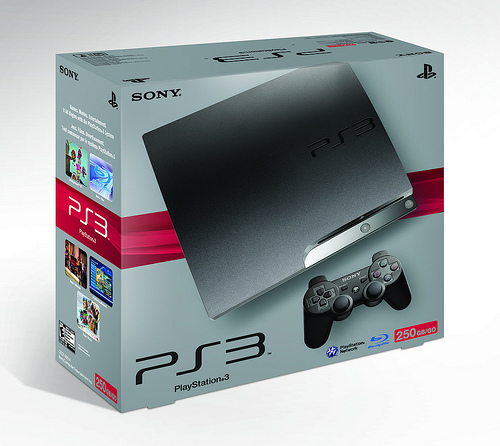 Sony has once again show that the what are mean in this game console world, Sony has just now release a new version of PlayStation 3 name PS3Slim consisting of low on cost and energy efficiency graphics chip as RSK GPU has been reduce from 65nm to just 45nm, what this reduce in size will do is it will cut short the electricity consumption to almost 15 percent. Apart from the changes in the RSX GPU chips there are other modification also done, these important modification are, now for RAM 2X128MB XDR chips from previous 4X64MB again resulting into reduce in size and power consumption and much much more simple and efficient cooling system. All this important modification just take you to only one conclusion only a awesome PS3 with fewer components which are cheap and easily available, which might directly effect the overall cost. FFXIII game event scene: Consume power in between 96W to 107W. BD playback: Consume 88W to 91W of Power. FFXIII game event scene: Consume power in between 78W to 83W (Saving 18W-24W). BD playback: Consume 77W to 78W of Power (Saving 10W-13W).